Government of the republic of Malawi has been given a 100 days ultimatum by civil society organizations CSO’s in the country to resolve a lot of challenges which the country is currently facing. 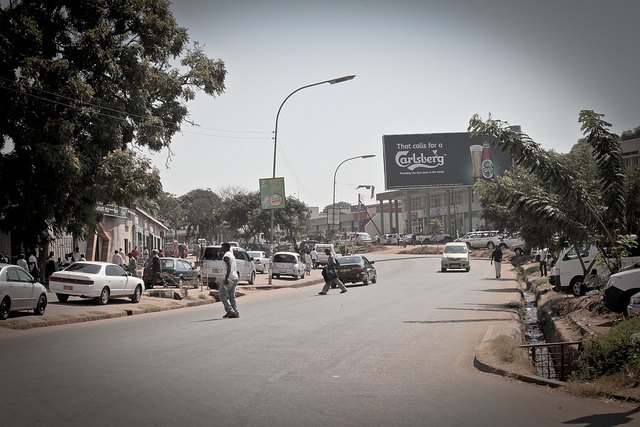 The civil society organizations organized a nationwide demonstration which resulted into a low turnout from the people of the country’s capital city Lilongwe streets to present a petition. In other parts of the country petitions were delivered through the CSO’s leaders following failure of people to turn out due to heavy rains that have hit the country leading to floods and making most roads impassable. One of the CSO’s leaders said among other issues outlined in the petition include the issue of security relapse in the country, high rates of unemployment and nepotism. ‘The president should stop appointing people based on tribe, ethnic group, region and partisan politics and put the affairs of the people first ‘he said. The CSO’s have also demanded that the first lady’s beautify Malawi trust an organization whose aim is to improve sanitation in the country’s cities and mulhako wa alhomwe a grouping of lhomwe tribe to return k5 million and k9.4million respectively to the country’s National Aids Commission NAC. The non-governmental organizations believe that the country’s NAC gave money to the country’s first lady Gertrude Mutharika’s Beautify Malawi trust as well as Mulhako wa alhomwe and used it for wrong purposes instead of serving its intended purpose. However the CSO’s have also given the two institutions a 14 days ultimatum to return the money to NAC despite some well-wishers coming forward and claimed to have paid back the money to NAC. They have also threatened that failure by the institutions to pay back the money within the given period will force the CSO’s to take another action. Malawi has been experiencing some economic downturns and during the Joyce Banda regime an economic recovery plan ERP was introduced as a way of turning around the economy of the country making the current administration to adopt it but the CSO’s say they also want an update of the ERP. Kondwani Nankhumwa who is minister of information in the country has therefore assured the demonstrators that government will amicably look into the issues in the petition.